What’s the most common use for granite dimension stone in the US? Curiously, it is often curbs? Yes, regular old street curbing. For instance in 2010, 154,000 tons of granite was used for curbing versus 103,000 for buildings. 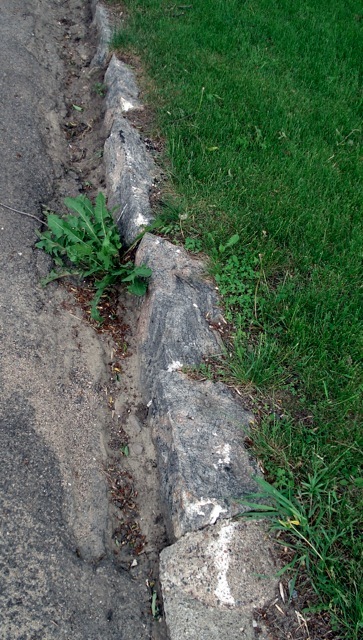 In 2009, curbing hit 138,000 tons compared with 133,000 tons for monumental uses. Crazy. I do know that the National Park Service uses granite curbing regularly. They do so for the reasons that others do, too. Granite lasts longer than concrete, is far better looking, and far more grand. If money was no object I am sure that most builders would use granite. Granite is not the only stone used for curbs. 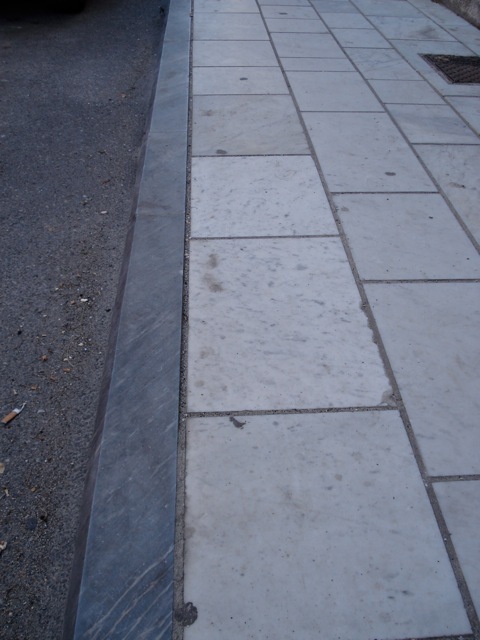 I have seen marble curbs in Carrara, Italy; basalt curbs in Hilo, Hawaii; and gneiss curbs in Morton, Minnesota. 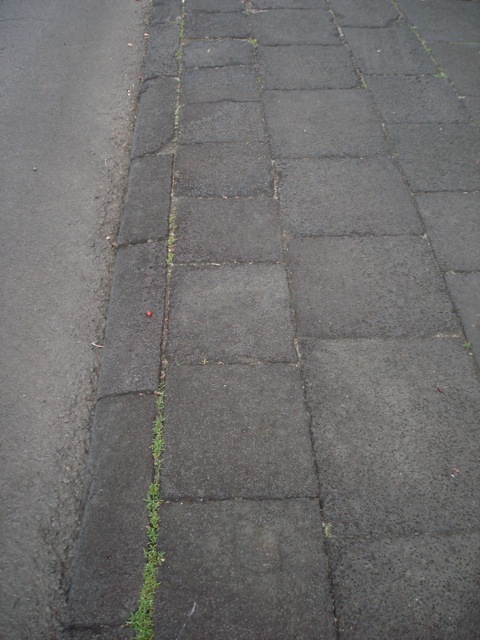 These latter curbs are pretty nifty because the stone is 3.54 billion years old. And, with the basalt curbs probably no older than a few thousand years, if not much younger, that’s a pretty good age spread of stone. 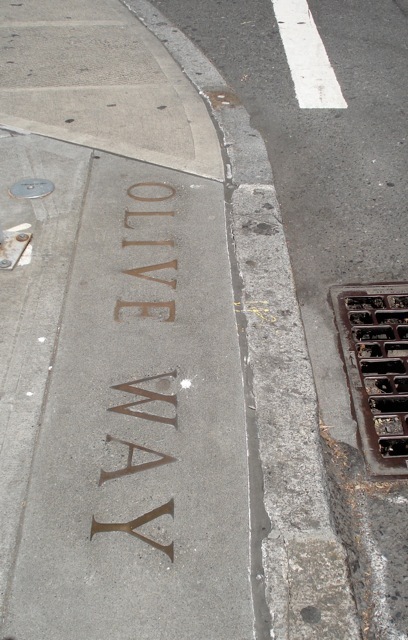 When I do my building stone tour in Seattle, I like to point out the curbs in the downtown area. (I know, I lead a pretty exciting life!) 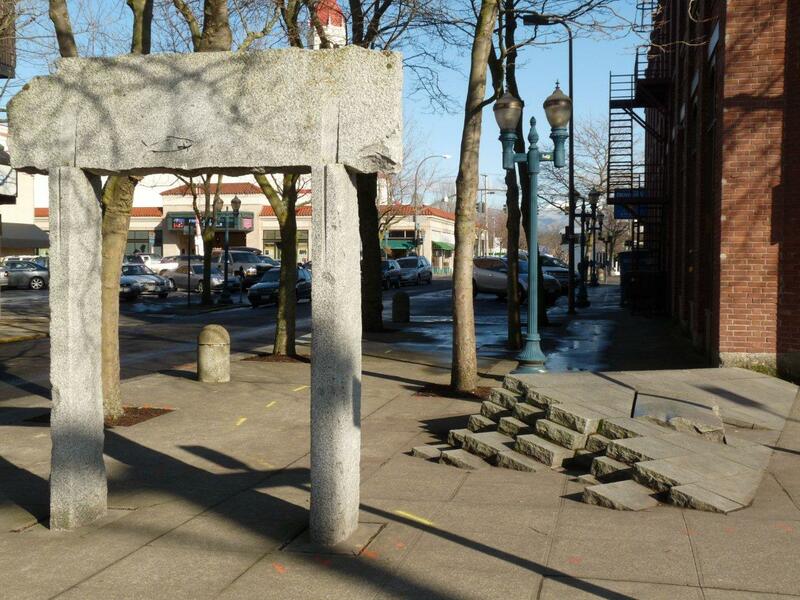 Seattle builders initially curbed its streets with the local granite, a 32-million-year old salt and pepper stone from Index. It looks quite similar to concrete. After the granite, they turned to concrete though it seems that it was not very high quality. On many streets, you can still find the steel railings that were used to protect the concrete. With better concrete, steel was no longer needed. In fact, it’s sort of a nifty way to age date one’s neighborhood in Seattle. Older ones still retain some granite. Younger have the steel railing and the youngest neither steel nor granite. And one final use for granite curbing, from my pal Dave Tucker at NW Geology Field Trips. 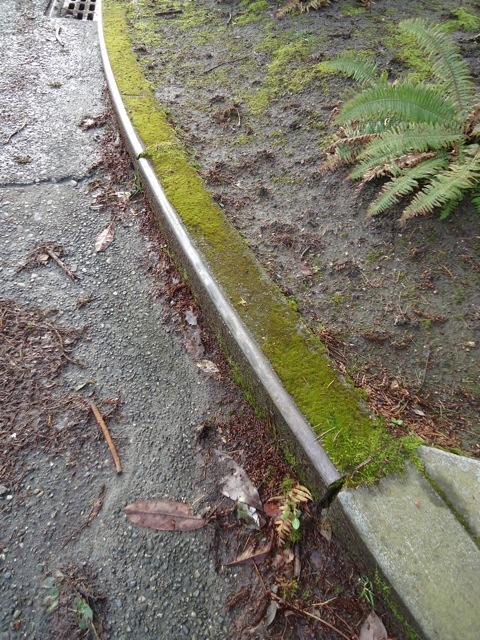 He sent me this great photo of adaptive reuse of an old granite curb in Bellingham. The title is “Days Go By” by Brian Goldbloom. He completed it in 1987 from curbstone removed in 1982 “to make way for modernization.” I like it!